At Arrowhead Pond in Anaheim, California, The Undertaker would defend The Streak against Big Daddy Cool, Diesel at Wrestlemania XII. The Undertaker’s quest for victory number five wouldn’t be much of anything new in the opponent. The former WWF Champion Diesel had retained the title and defeated Shawn Michaels the year prior. While this year, Shawn Michaels would achieve the boyhood dream, The Undertaker took on Diesel. The seven foot monster had been the victim of classic Undertaker mind games in the build to Mania. Diesel even came face to face with his own body in a coffin that symbolized his demise. Despite the mind games by The Deadman, Diesel would keep his cool during most of the match until he became the newest victim of The Tombstone Piledrive, the latest victim of The Undertaker and the fifth victim of The Streak. Believe it or not, this is one of the few matches I an remember at Wrestlemania where The Undertaker was flat out dominated by an opponent. The Undertaker had taken on two big men previously, but there was something about Diesel that Taker couldn’t figure out for most of the match. Diesel made his way out. The Undertaker’s entrance had all the same pieces but it has been fun to see that little by little, it just creates more atmosphere. It is already getting to the point where it does not matter who The Undertaker faces, the match will feel big. The match began with the two big men exchanging blows with one another. Diesel would gain the upper hand and go to work on Taker in the corner. The two men continued to exchange rushes of offense until they found themselves on the outside. Each man would have their turn of aggression on the other as their battle remained neutral as they slid back into the ring. 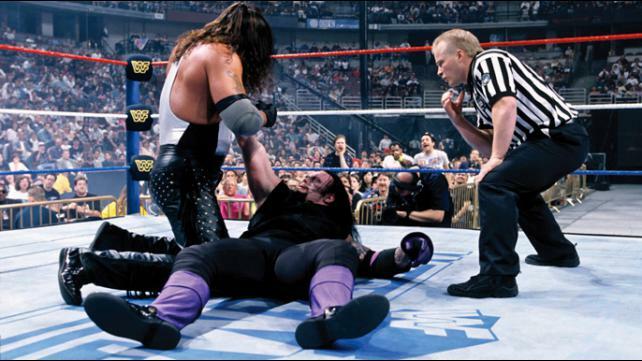 It was a match of big haymakers and strikes until The Undertaker was able to hit Old School. The Undertaker would batter Diesel around the ring and to the outside which he would regret. Big Daddy Cool would use his power against The Deadman to dominate him on the outside with the assistance of the ringpost. Diesel’s confidence would grow as he slowly picked apart The Deadman piece by piece. With each power move, Big D’s confidence slowly and powerfully became arrogance. The Undertaker fought back, but could never muster a good stretch of offense. His runs were always stopped dead in their track by a Diesel strike, or a nice double big boot spot that put both men on the mat. Afterward, The Undertaker would finally get a good rush of offense until a Jackknife Powerbomb came out of nowhere to put The Deadman down. However, Diesel would fall to his knees and wouldn’t go for the cover. Instead the big man would taunt The Undertaker as if to say, “This is it?” In vintage Undertaker fashion, he would sit up to ignite the crowd. Diesel was more than ready and he dropped The Undertaker with another big Jackknife Powerbomb. Yet again, he refuses to go for the cover and Diesel looked to humiliate The Undertaker and end his Streak on an even more dominate note. As he went in for the kill, The Undertaker would grab the throat of Big Daddy Cool to change the shape of things to come. Diesel would beat The Undertaker back down to the mat. The Deadman would rise for Diesel’s throat again, until he was beaten down again. There would not be a fourth time. The third time was the charm and The Undertaker brought the momentum back into the match. Though Diesel tried to put The Deadman down again with a back-suplex. Diesel realized he should have finished The Undertaker a moment to late as The Phenom would sit up once more, catch Diesel as he turned around and went toe to toe with the big man until a flying lariat took him down. In the center of the ring, the high hopes of Diesel’s missed opportunities would come crashing down with Big Daddy cool, as he was dropped with a massive chokeslam. Diesel became the first victim in four year to suffer the painful effect of the Tombstone Piledriver on the grandest stage of them all to secure The Undertaker’s fifth win at Wrestlemania VII. This is by far the best match of The Streak thus far, but I still have some questions about how it all went down. 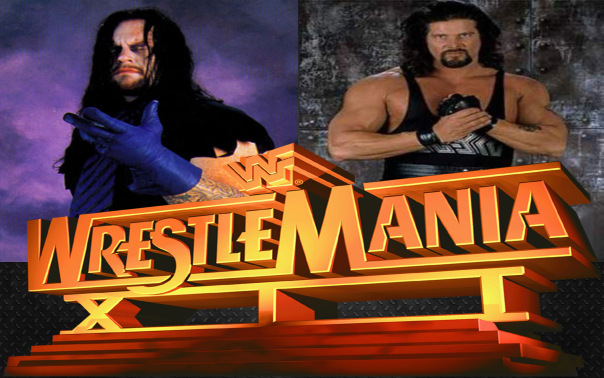 Kevin Nash and Taker did a solid job of making the match a battle between two titans that were evenly matched until Diesel took complete control of The Undertaker for the majority of the match. The arrogance of Diesel is something I question because I understand why it was done and I appreciate how it was done. It had me believing that Big Daddy Cool was the guy who could finally physically dominate The Deadman. It was a nice change of pace to see The Undertaker dominated. The issue I have with it is that I think it made Diesel look weak. Diesel has The Undertaker beat and he taunts him, I get that, but then The Undertaker makes that stand with the flying lariat, chokeslam and Tombstone. Diesel went from being the one guy would had the shot to beat The Undertaker at Wrestemania and he let it go by because even though he had little to no wear and tear from the match, a Tombstone is all Undertaker needs to take the match. I think it makes the Tombstone look incredible as a finisher. It turned a taunting and confident Diesel and turned him into just another victim. In terms of the match quality, it was solid to good. In terms of story, the match did it’s job despite slowing down dramatically in tempo. Most importantly, in terms of The Streak, it showed that in the blink of an eye, The Undertaker can rise, hit a Tombstone and take a victory right out of your hands. It puts the stamp and the standard that if there is a realistic shot of killing off The Deadman, you had better seize it because one second it is here and the next a Tombstone Piledriver turns out the lights as the bell tolls for you. Wrestlemania XII was the toll of Diesel’s bell. The Undertaker had made it to five, but a year from now, he will need a similar finish to capture his first real taste of immortality on the grandest stage of them all.